Is Temperature Controlled Storage Right For You? Keep your valuables inside and weather-free. Temperature Controlled storage units keep items in a controlled environment (between 59 degrees F and 85 degrees F). Our building has two garage door bays with a loading/unloading indoor area. U-HAUL; Your Moving Truck Source. We are an authorized U-HAUL dealer. We offer all sizes of U-HAUL moving trucks, a large inventory of wrappings and covers for furniture storage, packing supplies, storage/moving boxes and locks. We rent dollies and blankets to make your move easier. We can also help you find moving helpers. Call to reserve a truck today! No deposit and no long term contract. We rent month to month and you have 24/7 customer gate access hours. If you’re staying a year, and pay in advance, we give you a month FREE. Call, come in, or go online to reserve a unit. We also offer U-HAUL moving trucks and moving supplies for one-stop shopping. Our indoor units have six-wheeled dollies that hold 300 lbs to ease the load in getting your belongings from your truck to your unit with wide, well-lit hallways. All of our units have extra-wide driveways to accommodate very large moving trucks. We have invested in the latest security technology and lighting for your belongings. We provide personal pin codes for our electronic entry/exit gates and additional key coded access to our temperature controlled and indoor storage buildings. Our bright, well-lit facility has advanced video surveillance systems with over fifty cameras and our permanent managing staff has military/security background. Our resident manager lives on site, allowing the property to be supervised 24/7. Our staff also performs a daily lock-check of all units. Business/Personal Mobility – You can move around, but your address will always stay the same. Security –No more mail piling up and packages disappearing before you get home. Convenient Package Receiving – Upon receiving your packages, we will contact you. Professional Appearance – Many people view a business with a street address as a long-term operation which gives you a more professional appearance. Privacy –If you’re a business owner, who has a home office location, privacy is important. If you’re moving you’ve got shredding! Cost-Efficiency – We are .20 cents a pound cheaper than our competitors (Big Box Office Supply Stores). Security – We adhere to safe destruction practices by using a local shredding company who shreds on our site. Your papers are locked in our bin until he arrives. Quick, Effortless, and Efficient – If you have many documents in need of destruction, we can complete the entire endeavor. Recycle – If you care about the environment, and you want to ensure regulatory compliance at the same time, professional shredding is the best way to go. Easy process at a time of need. Excellent facility, clean and secure. Climate control a plus. Internal access lessens invasions. Eric was most helpful and knowledgeable in the entire process. We are very impressed with the service we got when renting our storage unit. The staff is friendly and helpful. The unit is very clean and easy to access. These guys are rad! To all of you fine citizens of the U.S. of A who are needing a fantastic storage unit in Windsor, come here. Congenial, magnificent staff. Clean units. Not to mention that the manager, Dave, is incredibly sagacious and conversant. Don't listen to the negative Nancys on the former treatises, Windsor Commons Self Storage is storage at it's finest! 10/10 would recommend! Very helpful had the truck waiting ready to go. The team was great at all aspects of the rental process through showing us the unit and explaining all the details of the contract. The team was very professional and had a good sense of humor, and understood the importance of customer service. You can real tell the team enjoyed their position!! They were very friendly and got us in and out quickly. The units are clean and great priced. Would recommend to anyone in that area! Our move into Windsor Commons went very well. The people are friendly and helpful. The storage unit that we rented was clean and dry, which was important, when you consider that we were moving in the day after the cyclone bomb that hit the area. We would diffinitely recommend Windsor Commons to any of our new neighbors in RainDance. Welcome to Windsor Commons Self Storage! 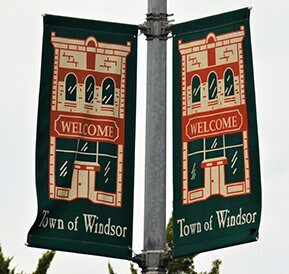 Windsor Commons Self Storage is Windsor’s newest premier storage facility. We are a local, family owned company located on Highway 257 and Eastman Park Drive. Of our 653 units, 400 brand new units were just added in July of 2017. Our beautiful facility has 181 clean, temperature controlled/indoor units as well as 472 drive-up units. We are an authorized U-HAUL Dealer. We have invested in over 50 facility-wide security cameras, new lighting, key-coded gates as well as key-coded doors to inside units. Our clean climate controlled storage building is as big as a football field and has two drive-up loading bays for your convenience. Our manager has a military background and lives on-site. He provides great customer service, regular office hours, and 24/7 gate access. In addition to U-HAUL boxes and moving supplies, we also offer shredding and mailbox/package receiving service. We want your business and are willing to work hard for it. Please come-in, call, or reserve online today! 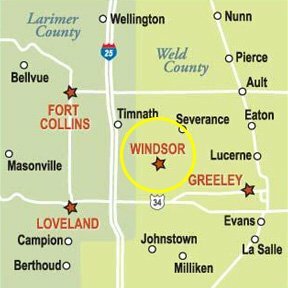 LOCATION Self Storage Serving Customers of Windsor, Greeley, Fort Collins, Loveland, Severance, Timnath, and Johnstown.